Bridge for Fukushima will be a “Bridge” between Fukushima and the metropolitan area to tackle tasks in Fukushima, especially northern, Soma and Futaba district. 1.Rights-Based Approach (RBA) aim at strengthening and empowering the capacity of people. Bridge for Fukushima will support and encourage independence of residents affected by earthquake and Tsunami, based on the thought of RBA and practically applying experience of overseas emergency relief through activities below. 2.Bridge for Fukushima will tackle tasks which public and private organisations have not reached yet, and enlarge activities through encouraging other organisations as one of the new providers of public benefit. 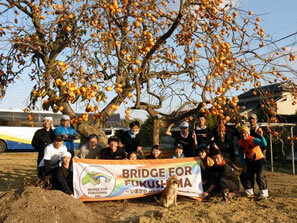 Bridge for Fukushima started its activities from emergency relief immediately after Great East Japan earthquake occurred on 11 March 2011. 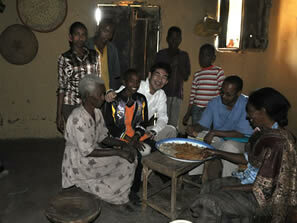 Members have been working in the field of international development.